The "relational turn" has transformed the field of psychoanalysis, with an impact that cuts across different schools of thought and clinical modalities. In the six years following publication of Volume 1, Relational Psychoanalysis: The Emergence of a Tradition, relational theorizing has continued to develop, expand, and challenge the parameters of clinical discourse. It has been a period of loss, with the passing of Stephen A. Mitchell and Emmanuel Ghent, but also a period of great promise, marked by the burgeoning publication of relational books and journals and the launching of relational training institutes and professional associations. 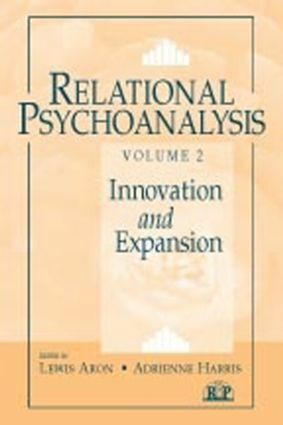 Volume 2, Relational Psychoanalysis: Innovation and Expansion, brings together key papers of the recent past that exemplify the continuing growth and refinement of the relational sensibility. In selecting these papers, Editors Lewis Aron and Adrienne Harris have stressed the shared relational dimension of different psychoanalytic traditions, and they have used such commonalities to structure the best recent contributions to the literature. The topics covered in Volume 2 reflect both the evolution of psychoanalysis and the unique pathways that leading relational writers have been pursuing and in some cases establishing.